Cellist Dr. Carlynn Savot is a teacher and performer in St. Paul, MN, where she serves on the faculties at St. Joseph’s School of Music, the MacPhail Center for Music, and Concordia University – St. Paul. In the summers, she teaches a cello technique course at the Hartt School’s Summerterm program and is on the faculty of the Black Hills String Retreat. 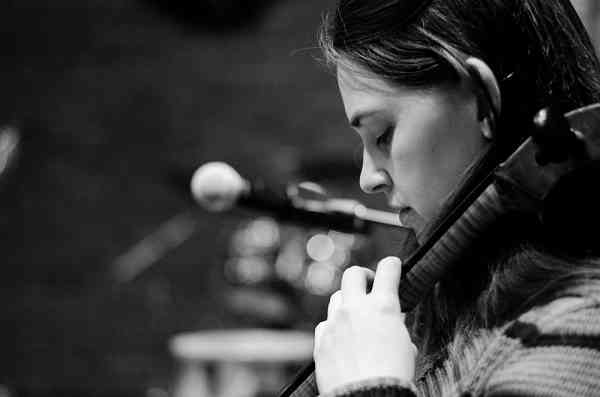 She performs in the Twin Cities area with The Bishop String Quartet and Strains New Music Ensemble. She enjoys performing new chamber music and working closely with composers, including the commissioned work Built on Gravel by Ruby Fulton (supported by the Zachs Endowment Fund). In addition to teaching, Dr. Savot is also an active lecturer. Her workshops have included sessions for both students and teachers on a variety of topics ranging from technical aspects of playing to motivation in practice. She has a particular academic interest in women composers and has participated in the Hartford Women Composer’s Series, including a lecture performance focusing on Rebecca Clarke’s Piano Trio. Her dissertation on Clarke’s Viola Sonata explores gender perspectives and their effect on musical analysis. As a chamber musician, she was selected to be a Goldberg Fellow at the International Musical Arts Institute in Fryeburg, Maine and has won the Miami String Quartet Competition at the University of Hartford and the University of Connecticut Chamber Festival Competition. During her years in Connecticut, she gave masterclasses at the Hartt Community Division and directed the chamber music program at Wesleyan University as a founding member of the West End String Quartet. With WESQ, she has served as the Young-Ensemble-in-Residence at the Bravo! Vail Valley Music Festival and participated in both performing and teaching capacities at the Soundfest Chamber Music Festival. Dr. Savot holds performance degrees from St. Olaf College, the University of Hartford, and the University of Connecticut, where her primary teachers were David Carter, Pamela Devenport, and Kangho Lee.